ESIS is a modern service to the scientific community that provides uniform on-line access to a wide variety of multi-wavelength data. Catalogue information, images, spectra and other data products can be retrieved in a simple way from a number of geographically distributed and intrinsically different archives. An important characteristic of ESIS is the capability to compare data from different experiments and missions, potentially increasing the scientific exploitation of the archived data. ESIS also provides an extensive bibliographic information service which includes transparent access to SIMBAD and to about 500,000 abstracts. 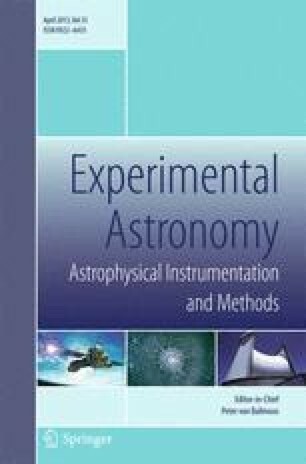 This article gives general information about the astronomy version of the ESIS system and provides a description of its architecture and of the services provided. Most of the ESIS software was developed in 1992–1993, i.e. at a time when hardware, software and network technology underwent rapid evolution. Because of this highly evolving environment a fully formal approach to software development (i.e., compliant with high level engineering standards) could not be followed. A mixture of prototyping and a more formal approach proved to be flexible enough to cope with the rapid evolution and has lead to the current system which is sufficiently robust and makes large use of the latest technology. The ESIS services can be accessed either via client software that is available for VMS or UNIX operating systems, or via the World Wide Web through NCSA-Mosaic and ESIS developed applications.